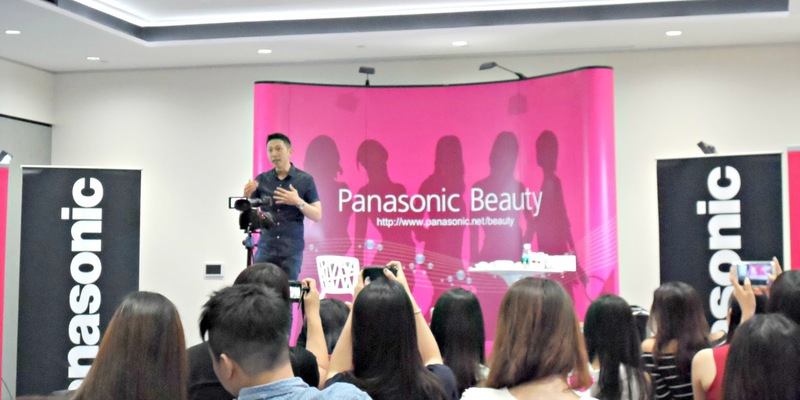 So glad I got a chance to attend workshop conducted by Bryan Gan who is the Top health and beauty guru and at the same time he's the one that you always see on popular variety talkshow Lady's First (女人我最大). This is me catching him in real life. And this is me catching him on TV (live). Best of both worlds lol. He is really generous when giving out tips to regarding our health and I have learnt so much from him within that 2 hours of workshop. It actually didn't feel like any other ordinary workshop because he's really down to earth and consistently cracking up jokes to make our Saturday morning so much better. 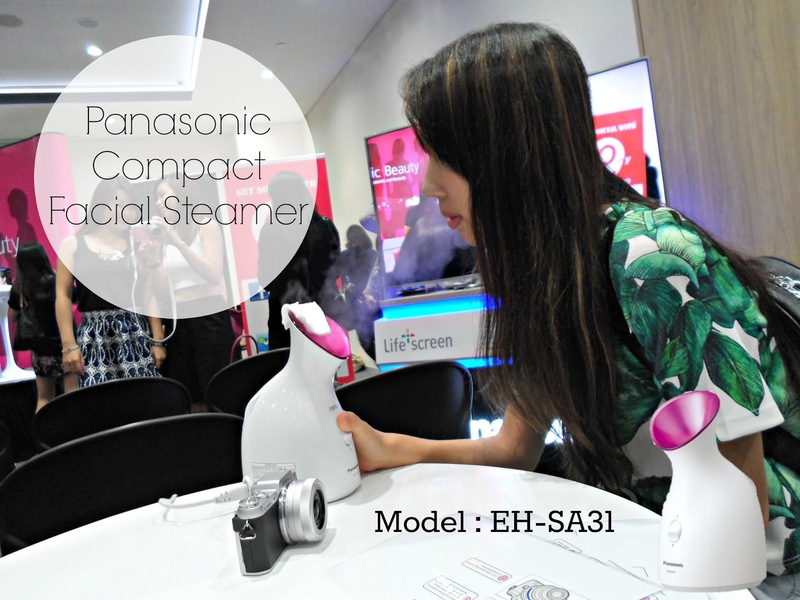 In conjunction with Panasonic, Bryan actually shared a few of his favourite products with us. Bryan will usually try out the products before sharing it with others. 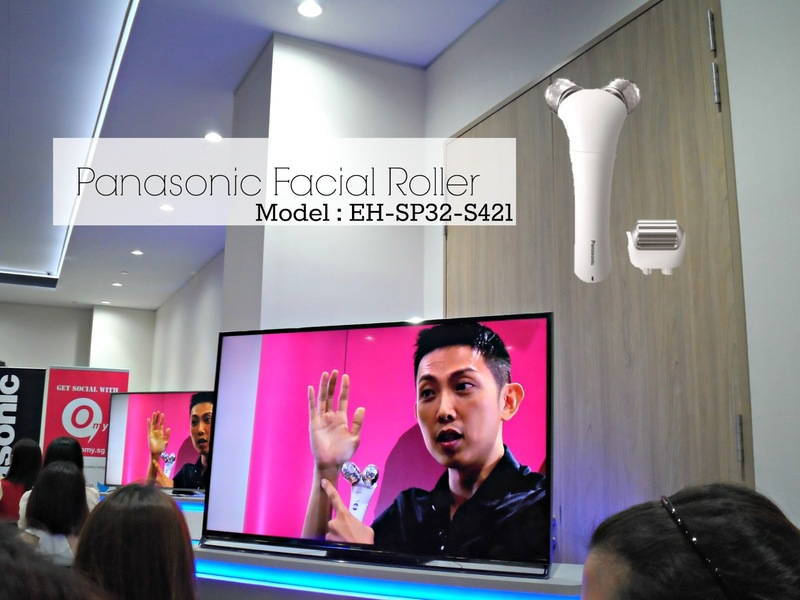 That's why he was so quick in explaining the functions and benefits from using Panasonic products. 2 removable rollers to suit different use and preferences. This roller have heating element that creates warming effect on skin (which can help to burn some fats too). Bryan taught us some ways to use this roller. You can use it for your face (use it for around 10 mins will be good), arms (for tighter arms) and even legs (especially women that love wearing high heels)!! I personally have something like this in the super manual way which is super tiring for me to keep rolling up and down on my face. Plus I can't use mine for arms and legs. But especially for those who are reading this, this will be at the price of $159 (including delivery and GST). Save $30! Provide deep moisture retention and refine pores for smoother skin. This can help to reduce facial oil and sebum too. It works around the same as those you put in office to prevent dryness due to the air conditioner. Bryan added a small piece of cotton wool with essential oil (or whatever you want to add for your skin) on top of the steamer so that when the steam comes out, it will bring the oil along for your face. Isn't this convenient? But for you, this will be at the price of $174 (including delivery and GST). Reaches about 15 degrees which instantly cools and tightens the skin. Which is extremely good for the warm weather in Singapore. At least something cool for your face which can cool your whole body down. 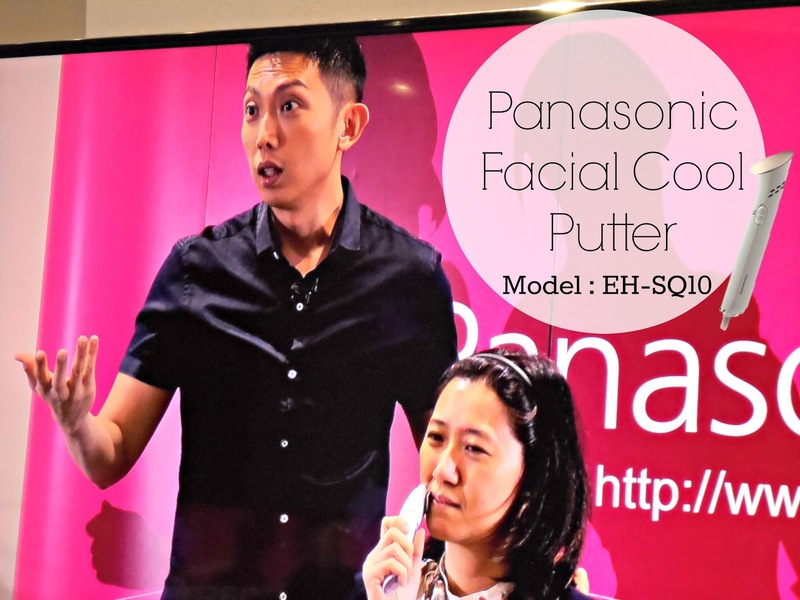 For instant, someone irritate you and you feel like you are going to explode soon, just put this facial cool putter on your face to cool yourself down HAHA. At the same time having some beauty benefits from it too. For readers reading this blog, this will be at the price of $109 (including delivery and GST). 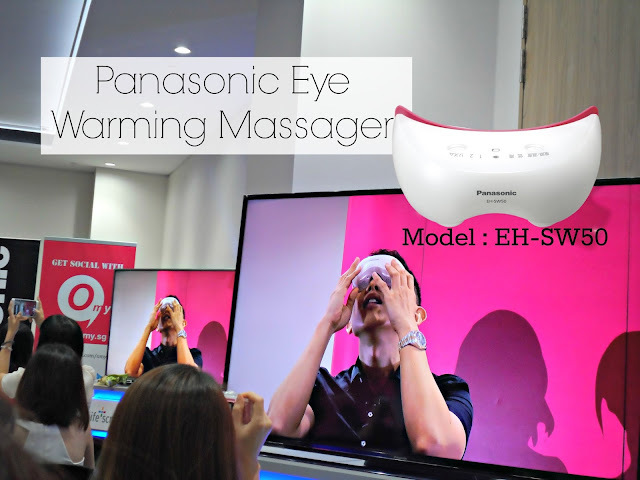 Emits warm steam that moisturises your eyes area and having 2 types of vibrating massage modes which helps to relieve eye strain. Plus this massager look really cool. I felt like ironman when I wore this HAHA but it's tiring to hold it while using it so best is to lie down and put it on. 1. Email to hanwei.chew01@sg.panasonic.com with subject: "Blog readers' promo - Panasonic Beauty (omy.sg)"
2. In the email, indicate product name, model, and quantity of items you wish to purchase. Panasonic Singapore will reply to the emails directly with the payment and delivery details. 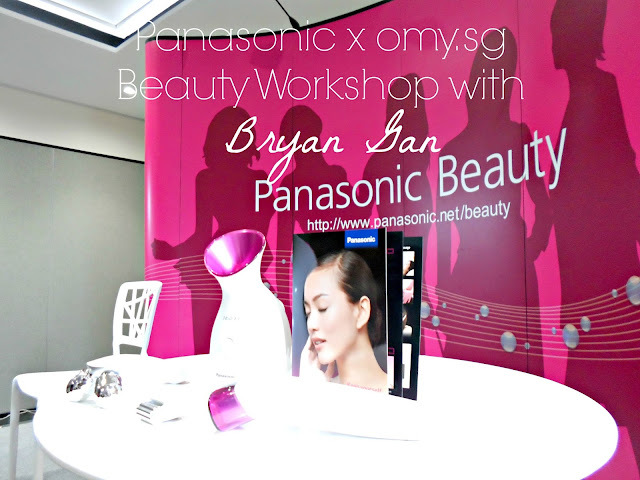 Thank you omy, Panasonic and Bryan for this wonderful workshop session! And also Regine for accompanying me for almost the whole day.